While Rafael “Feijao” Cavalcante didn’t leave Columbus, Ohio with his light heavyweight title, the former Strikeforce champ did take a 60-day medical suspension back to Brazil with him. 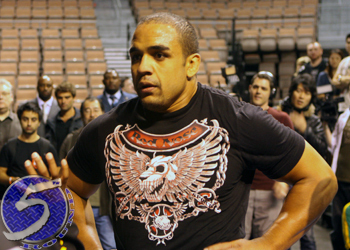 In addition to Cavalcante, seven other “Strikeforce: Feijao vs. Henderson” athletes were issued medical bans from the Ohio State Athletic Commission. The event took place this past Saturday inside the Nationwide Arena in Columbus. Dan Henderson laid Feijao out in the 3rdRound of the card’s featured contest to capture the belt.